The Canadian Museum of Nature in Ottawa will unveil the fruits of an eight-year, multi-million-dollar renovation when it opens its doors to the public on Saturday. The Canadian Museum of Nature in Ottawa will unveil the fruits of an eight-year, multi-million-dollar renovation when it opens its doors to the public Saturday. Parts of the downtown stone castle on McLeod Street that houses the museum have been closed for almost a decade as exhibits were updated and the building's crumbling architecture restored at a cost of $216 million. One of the most striking features is the new glass tower that sits atop the castle structure. Dubbed The Lantern, the structure is made up of more than 200,000 kilograms of steel and glass and was built over the last two years. Inside the museum is a mix of modern renovations and restorations of the castle's original architectural details, including more than 70 stained glass panels that were repaired. 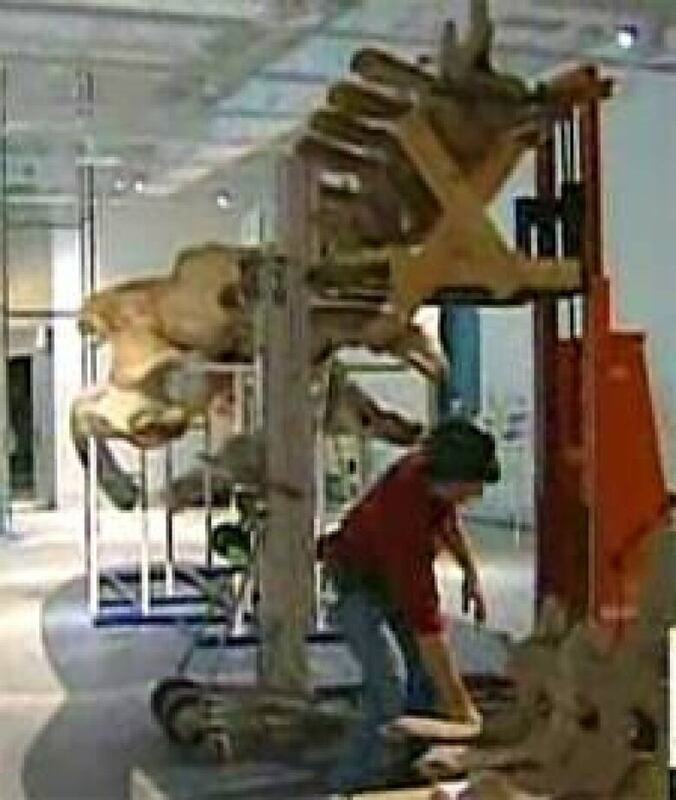 The museum also features a number of refurbished exhibits, including a new Blue Water Gallery featuring a 19-metre-long, 138-bone blue whale skeleton nicknamed Tallulah. The museum acquired the remains of the massive female whale in 1975 after it beached in Newfoundland. Updated climate controls also allow exhibits sensitive to moisture or heat to get a second life on the exhibit floor, said chief operating officer Maureen Dougan. "We're showcasing here for the first time things that we never would have been able to show people because the specimens were considered to be too fragile," said Dougan. On Tuesday night the museum gave neighbours who have endured the ongoing repairs a sneak preview of the newly restored museum. John Schmidt and Wendy Limbrick live nearby and said the museum has done a good job of keeping them up to date on its progress. "We've seen behind the walls ... and how it used to be and what they are doing, so that was pretty interesting," said Limbrick, who has visited three times for behind-the-scenes looks. "The fun thing is going to be when we have visitors, [we can tell them] 'go to the museum!'" said Schmidt. The renovation of the building is also significant from a historical perspective because of the building's rich history. During its 100-year existence, it served as the first home of both the National Art Gallery and what later became the Museum of Civilization. The building was also home to Parliament between 1916 and 1920 after a fire destroyed Centre Block on Parliament Hill.